Greetings, dear readers! I hope your week has been off to a wonderful start so far and you are getting much accomplished! As for myself, the current weather changes have given me a nasty headache, so I'm going to keep the chit chat short so I can get this post live and then hide in a dark and quiet room. Ready? Let's do this! I received some golden holographic stencils from Born Pretty Store to review, and I am sharing two of the sheets with you today. 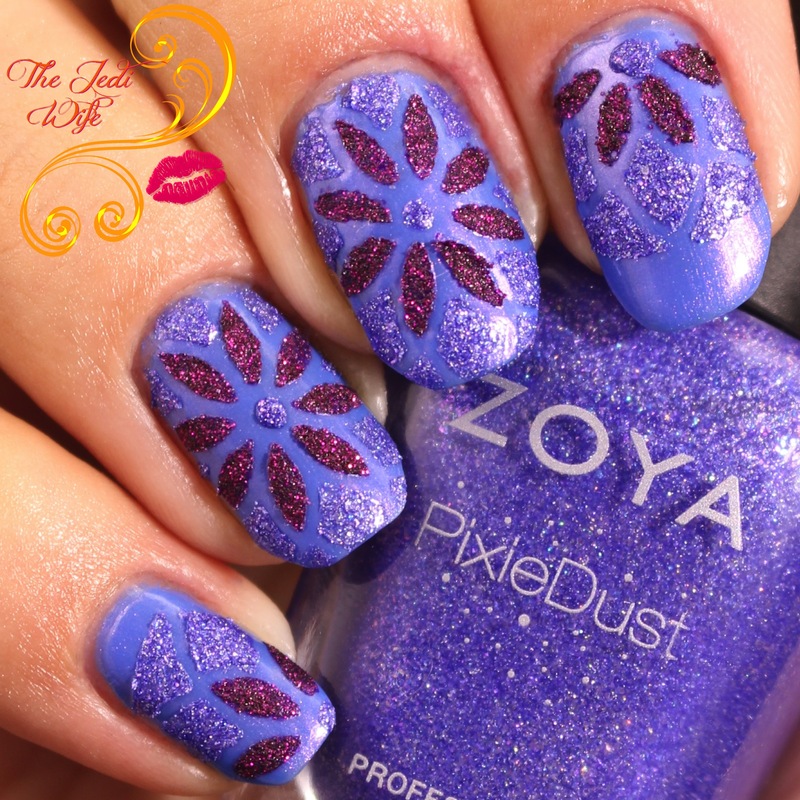 I paired both these sheets with the new Zoya Enchanted Holiday Collection for my nail art in this post. Let's check these stencils out! 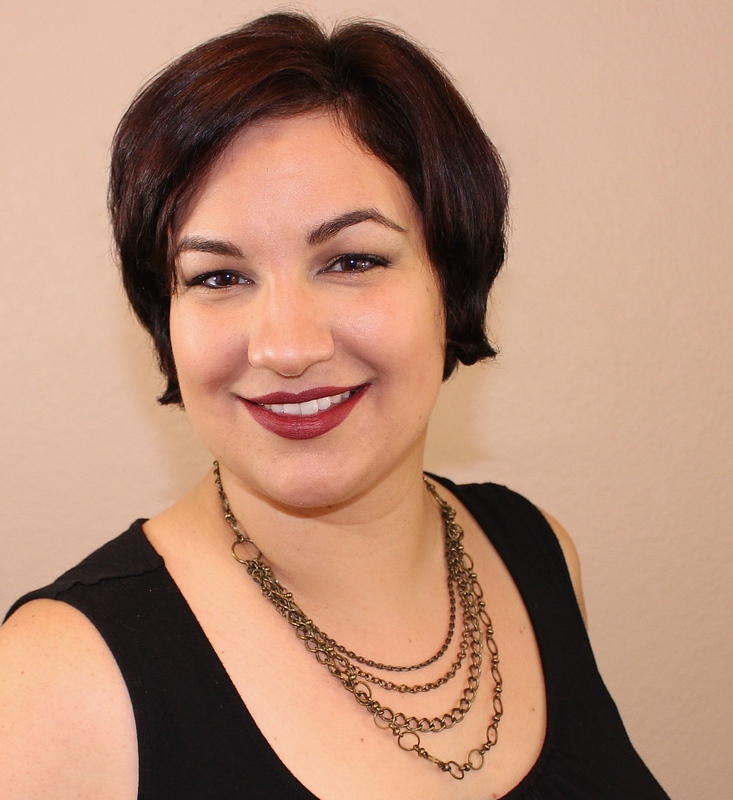 When I review for Born Pretty Store, I usually pick out the items I want to review. These two sheets were similar, and while I like them, I didn't think I would request items that were so similar. Apparently this sheet was sent to me instead of something else, and even though I've scoured their website, I have been unable to find this exact sheet, labeled Y-008. I have, on the other hand, have found a sheet of silver holographic stencils similar to one of the patterns on the sheet. Of course I realized this *after* I chose the other pattern to share, but if you are interested in it, you can check it out here. The other sheet I reviewed is labeled Y-004 and can be found at the Born Pretty Store site here. Both these stencils peeled off very easily from the sheet, and I didn't have to do any extra weeding to get the center cutouts removed from the stencil. The stencils stick to the nails, however, if you have curved nail beds like I do, you may find the overhanging stencil doesn't stick well to the skin with such a sharp curve. Obviously it doesn't need to stick to the skin for long, but it is necessary if you want sharper lines. They worked better for me when I trimmed down the stencil to minimaize the overhang. These stencils are beautiful and so easy to work with! 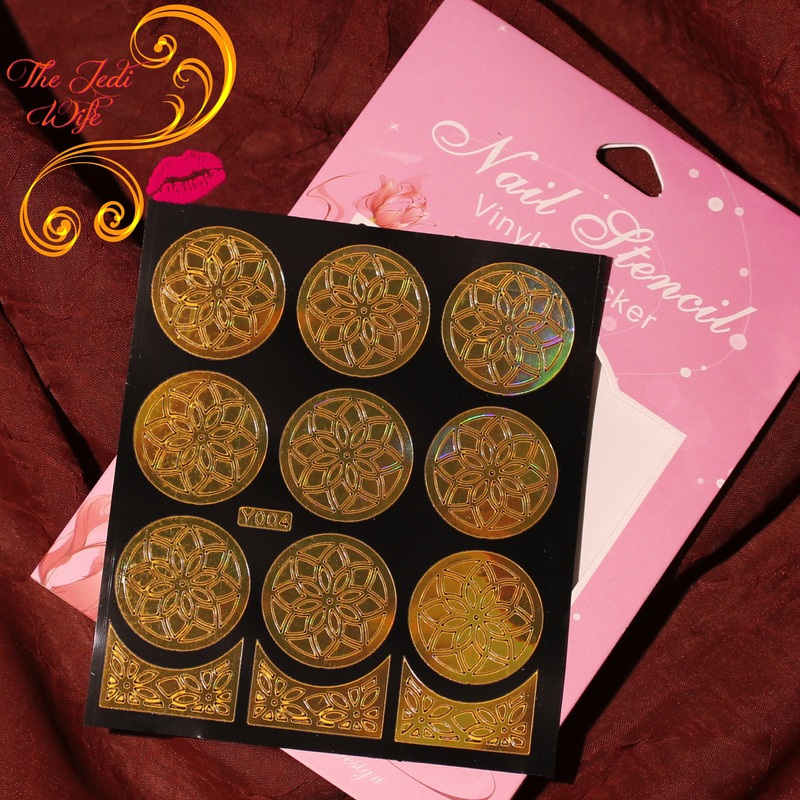 If you've been wanting to try out stencils for nail art, I definitely recommend picking up some of these to try! If nail stencils aren't quite your thing, be sure to check out Born Pretty Store for all your other nail art needs! They have quite a large selection to choose from and the prices are affordable. You can save 10% off full-priced items with discount code QWL91. Have you tried stencils from Born Pretty Store? Which ones are your favorites? I'd love to hear your thoughts on these! Pretty nail art! I love Zoya. You managed to make these work so well! Beautiful stencils! The first one looks like broken glass. Can you reuse them? ok...so now I admit that textured polish has a use. 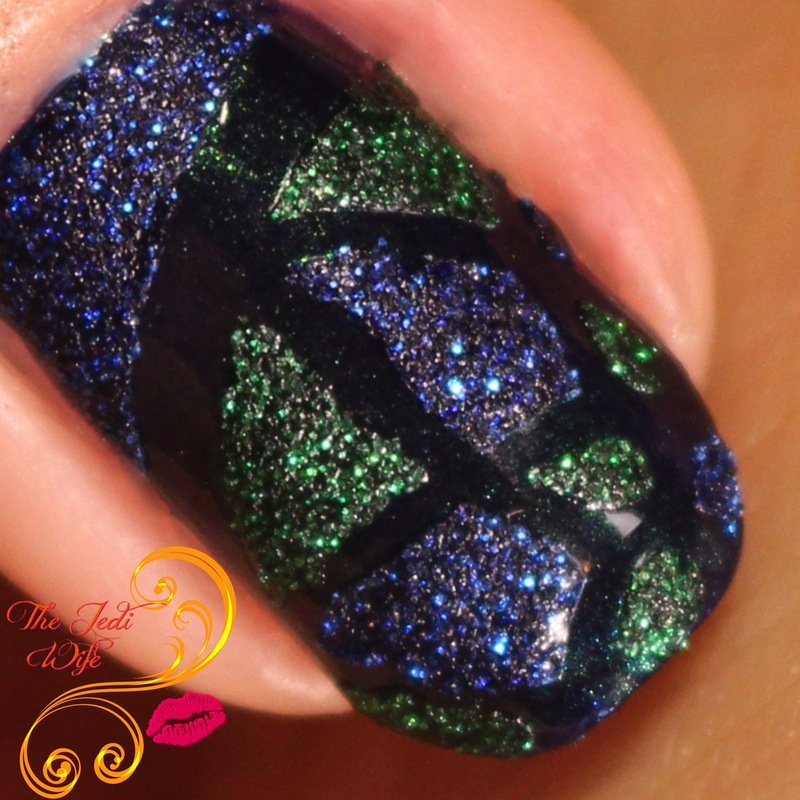 The stencils look great, but you utilized the Enchanted Collection flawlessly!! Both looks are beautiful! Ugh, stencils hate me but they are so pretty. I wish I was better at using them! I like the flower one ! Nicely executed. I love the looks you did with them! I never thought to trim the stencils; I have curved nails too and I never get supersharp lines because it won't stick to my skin. That's a great tip, thanks! I love the textured one!!! Soo cute!!! Love the second look you did with the vinyl! Both looks turned out great! Oooooooh the second mani made me swoon so hard! Gorgeous! Second one is so beautiful n neat. Lovely mani. I haven't tried vinyl stencils before, but I really want to. They sound like an easy and quick way to get a fun manicure! I don't think I have ever tried stencils like this before! Definitely makes me curious and want to try them.